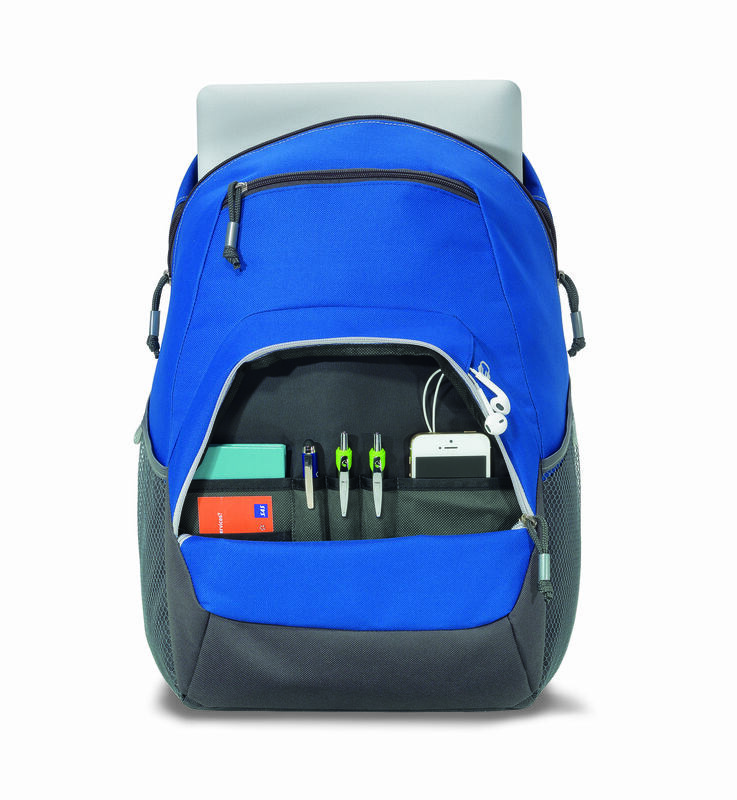 This backpack is made of 600 denier nylon and features a padded computer compartment. 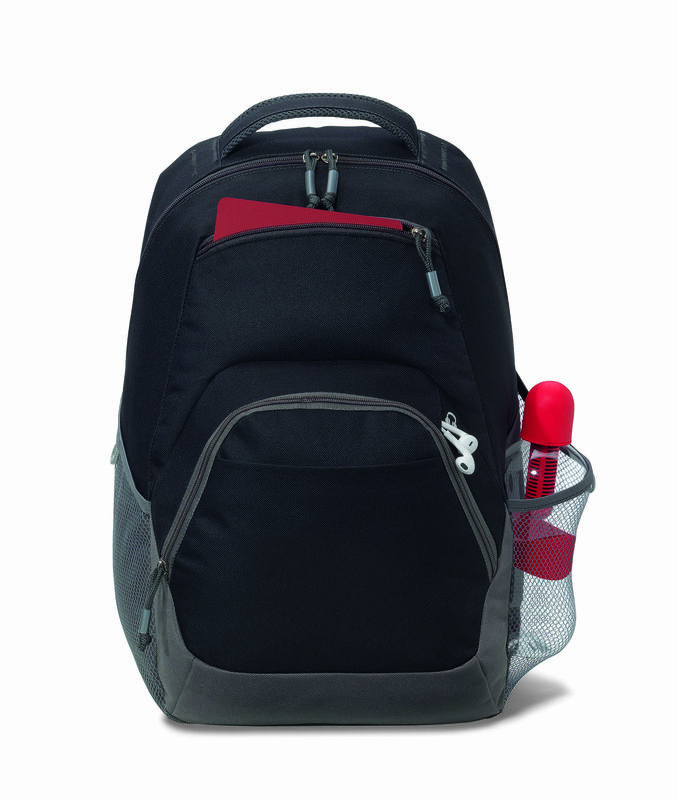 It is available in black with red or royal with grey accents, and can be customized with embroidery. 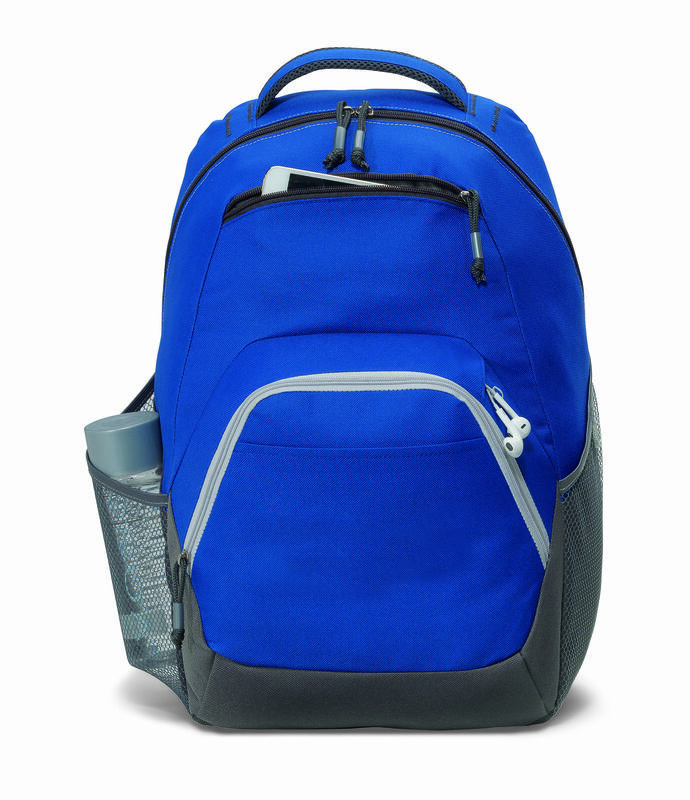 Padded, adjustable shoulder straps and sport mesh top grab handle.